Vitkov/Ostrava, Czech Republic, March 5, 2011 – An early Friday morning in Prague, February 25, 2011. I was on my way to Vitkov, the birthplace of Jan Zajic, to participate in a ceremony honoring him. Zajic was one of the students – Jan Palach is the better known – who immolated himself to protest the August 1968 Soviet/Warsaw Pact invasion of Czechoslovakia. 42 years ago on this day Jan Zajic valiantly took his life. I waited for Martin Janas, in his early 20’s and Zajic’s nephew, at Prague’s main station. The station is being modernized. Something which is long overdue. The Communists spitefully built a hideous highway in front of the old station. This too will change over the next years. I had met Janas at the National Day of Saudi Arabia in Prague a few years ago. He is a talented student photographer. He had been hired for the event. He is salt-of-the-earth, bright and quiet. We had chatted as he was waiting to take photos of some diplomats. We talked about Communism. There were many in the hall who feign having had “nothing to do with it.” There are too many of this type in the Czech Republic today. They are Ministers, diplomats, academics and businessmen. They pretend having had no role with the past. Most continue their lives without reproach – as though nothing ever happened. During the conversation Martin mentioned his uncle. It was not a boast. It was done with such reticence – such pain. I asked later why that was. The family is very protective of his uncle’s memory – especially his mother, Marta Janasova, Zajic’s sister, and Jaroslav Zajic, Jan’s brother. I met the family, and Marta and Jaroslav in Vitkov. She is a wonderful lady. Jaroslav is earnest. Both are very kind. The family has never wanted the memory of Jan Zajic to be abused – made into a PR extravaganza. They are insistent on keeping the memory human and mostly private. Zajic was born June 3, 1950. He studied at the Rail Engineering School in the city of Sumperk. He spent much time reading literature. He began to write poetry. In August 1968 he condemned the Soviet invasion – as did many other Czech and Slovak students. Zajic was angry the Czechoslovak military showed no resistance. The invasion had followed the 1968 Prague Spring when Alexander Dubcek – a reform Communist from Slovakia, later expelled from the party, who would become Speaker of the Czechoslovak Parliament after the fall of Communism in 1989, and die mysteriously in a 1992 car crash – had begun to open political, media, cultural and academic boundaries. Books, periodicals and newspapers were at last telling the truth. Professors and students banned for their “bourgeois” backgrounds were allowed back into universities. Czechoslovak citizens were permitted to travel. After August 1968 many would not return. Jan Zajic would demonstrate uncommon bravery. In January 1969, Zajic went to Prague. 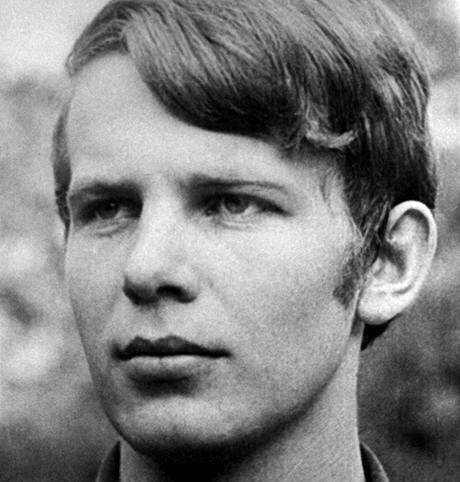 He took part in the student-led protests and hunger strikes at Wenceslas Square leading up to Jan Palach’s funeral. He announced his intentions to immolate himself to his friends. None took him seriously. On the morning of February 25th, 1969, he traveled to Prague accompanied by three student friends. With him was a suitcase containing several letters and an appeal to Czechoslovak citizens to resist. Zajic bought several bottles of benzine cleaner and covered himself with floor paste. He handed his friends the letters and bid them farewell. Jan Zajic proceeded to No. 39 Wenceslas Square where he would bravely and painfully end his life in protest. Zajic wished his funeral to be held in Prague. But, the Communist authorities, fearing the mass protests as the result of Jan Palach’s immolation and funeral, prevented the burial in Prague. On March 2, 1969, accompanied by a throng of thousands, he was buried in his native town Vitkov. The snow falling, the weather cold, a simple ceremony. Fifteen of us stood near Zajic’s grave – a rectangular slab, massive concrete, gray, unornamented. It speaks of the pain of the time, the brutality. Two by two, the visiting dignitaries – the mayor of Vitkov and Sumperk, a Vice President of the Czech Senate, a Senior Advisor to the Senate President, the Head of the Jan Zajic Foundation, Zajic’s brother and sister, some friends and a few local people paid tribute to this young hero. I stood in the back quietly – moved by many emotions and thoughts. An open ceremony held later at Vitkov City Hall by the Jan Zajic Foundation honored Miroslav Macas, a young student singer. The award is presented on the anniversary of Jan Zajic’s death in Vitkov every year and honors a young person. Some moving speeches, especially by the Vice President of the Senate, who was a student at Charles University at the time, were delivered. I too gave a speech warning of ignoring the past and quoting Pastor Martin Niemoeller, the controversial – he had originally supported Hitler – anti-Nazi cleric who was imprisoned in Dachau and Sachsenhausen but survived. He is known for his eloquent “And then they came for me” sermon. The evening ended with a private dinner at which I met Ales Kocian, a high school student who had read a poem at the ceremony earlier in the day paying tribute to Zajic. The poem was moving. The reading eloquent. The young man intelligent. But even this day could not escape the past. Marta Janasova’s kadrovak – the brother of a current Federal Senator – was present. Kadrovaks were part of the system, assigned to keep tabs on people during Communist days, reporting them to the secret police. Marta had not seen him for 27 years. In Marta’s case she was prevented from attending university and forced into a menial job. Marta was enraged. So was I. And this is precisely why the fight must continue.